I posted on the new Singapore yesterday, my stays included a spell in the new mega-hotel Marina Bay Sands. I also check out two hotels in Chinatown (New Majestic and Naumi Iliora) and one in Little India (Wanderlust). Two of them featured a development I saw in Hong Kong last year, providing you with a smartphone for your stay with free internet, free local calls and free international calls to a handy list of countries. A very nice idea! ◄ On my first Singapore visit I met with the organisers of the Singapore TEDx conference I would speak at later in the year. 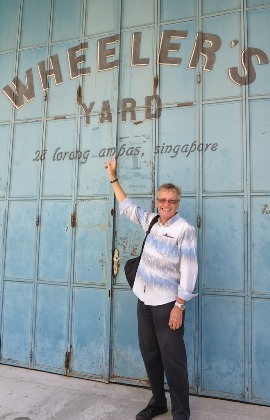 And what better place to meet than Wheeler’s Yard, a popular café and bicycle shop right beside a cycling track. Despite the muggy heat bicycling is proving increasingly popular in Singapore. ▲Some things hadn’t changed at all, Komala Vilas that South India thali specialist on Serangoon Rd is still going strong. 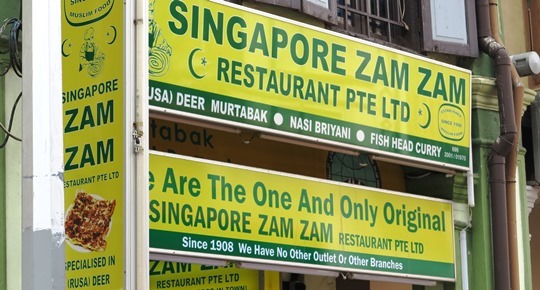 ▲So is Zam Zam, not far away in the Kampong Glam district, it has been in business since 1908. 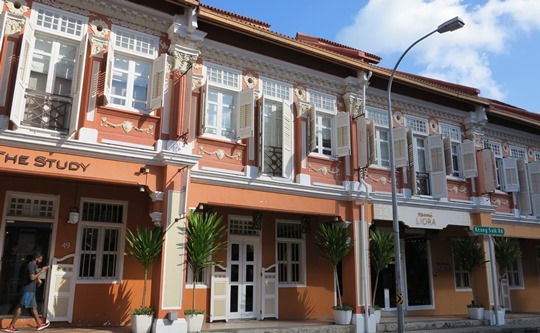 ▲ There’s also been a lot of effort in restoring and preserving old Singapore, like these shop-houses with their ‘five foot ways’ on Keong Saik Rd in Chinatown. Many of them are now bars, cafes or restaurants. ▲ Petain Rd just off Jalan Besar on the edge of Little India has some wonderfully colourful architecture. 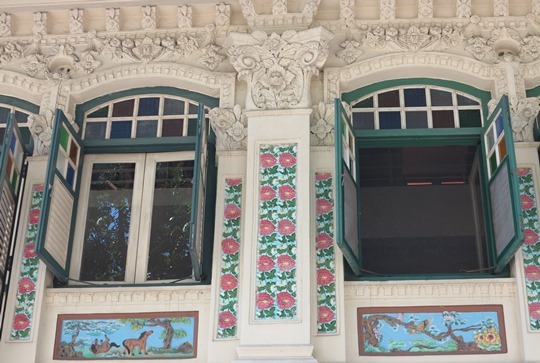 ▲Ditto for the Peranakan architecture of the Geylang district, a blend of Chinese and local design which developed during the British colonial Straits Settlement era.